Thanks for visiting Oklahoma butterflies, and the state sure does have a large diversity of butterflies, around the one hundred and eighty species mark. The high diversity can be attributed to a spillover of species that are primarily Southwest or Midwest. 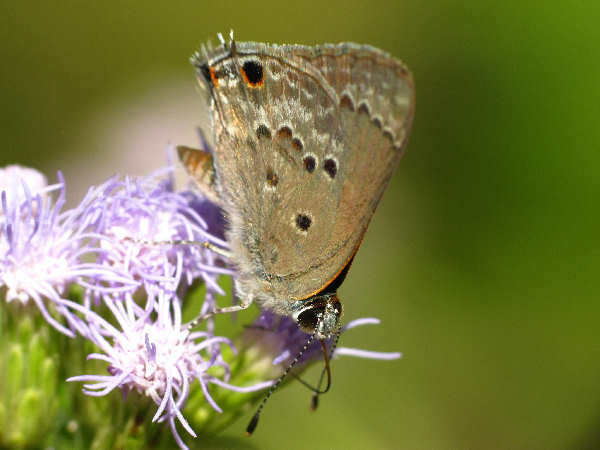 Maintaining high butterfly diversity in the state is as easy as planting a butterfly garden. This introduction to Oklahoma butterflies provides a list of the species in the state arranged according to families. Space limitations means only a few butterfly pictures can be included. Please press the green Butterflies button for more butterfly pictures and information on individual species and families. Before moving to the species list a brief note on butterfly gardens. The Oklahoma Department of Wildlife suggests the following plants to attract butterflies at a basic butterfly garden. Pieridae is the formal name of the family that consists of the butterflies with white wings and yellow wings. 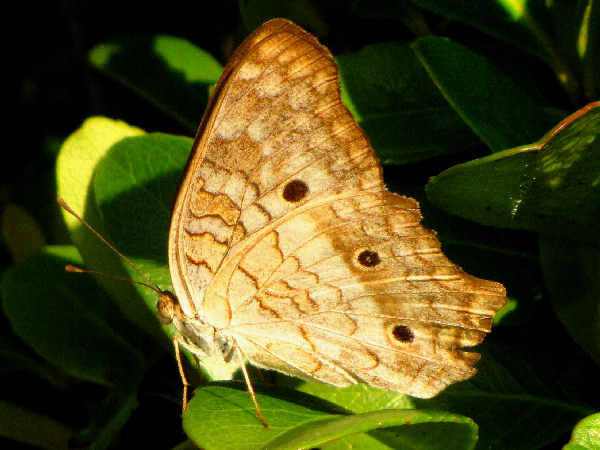 Most states have more of the yellow butterfly species. 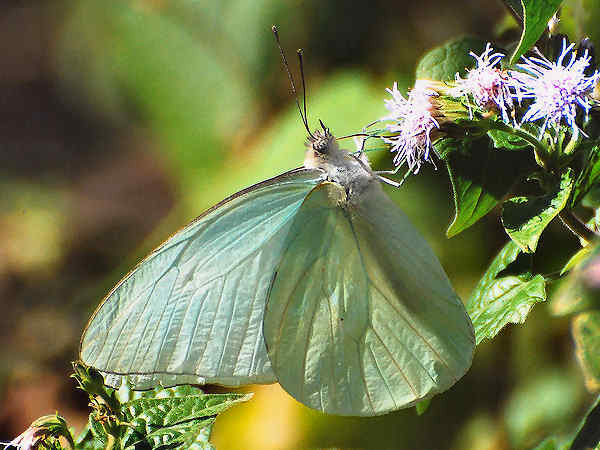 The picture shows a Florida White butterfly. Here’s a list of the rest of the white butterflies and yellow butterflies documented in the state. Multiple fritillary, checkerspot, crescent and wood nymph species insures nice diversity for Oklahoma butterflies in the brush foot category. Visitors can keep that in mind when looking for butterflies. 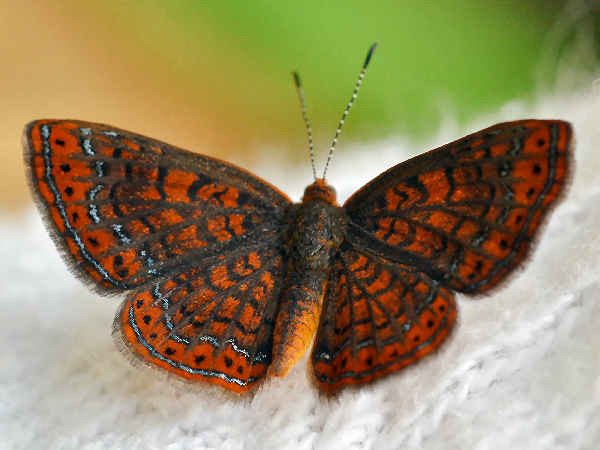 Don’t pass up a Crescent butterfly, for example, if a picture is already in the camera. A different species could very well be sitting on that flower outside the hotel. Nine swallowtails make the Oklahoma butterflies list. Three of them the Toas, Two-tailed and Palamedes have very limited ranges, two to four counties. 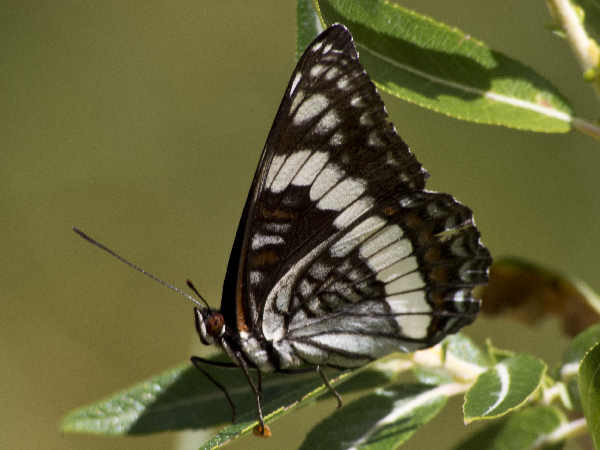 The pictures shows a black Swallowtail, Oklahoma’s official butterfly. 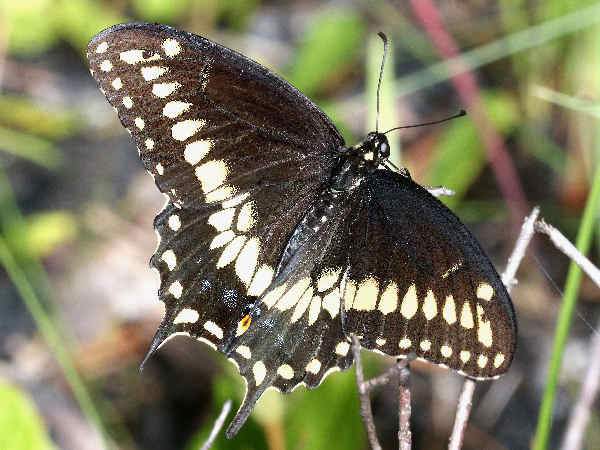 It’s the most widespread of the swallowtails, found almost statewide.